Our Multi-Paw Brown Large Dogbed Cover will add both luxury and comfort to your pet dog. This dog cover is made from 70% polyester and 30% cotton with polypropylene backing, which makes it soft and long lasting. 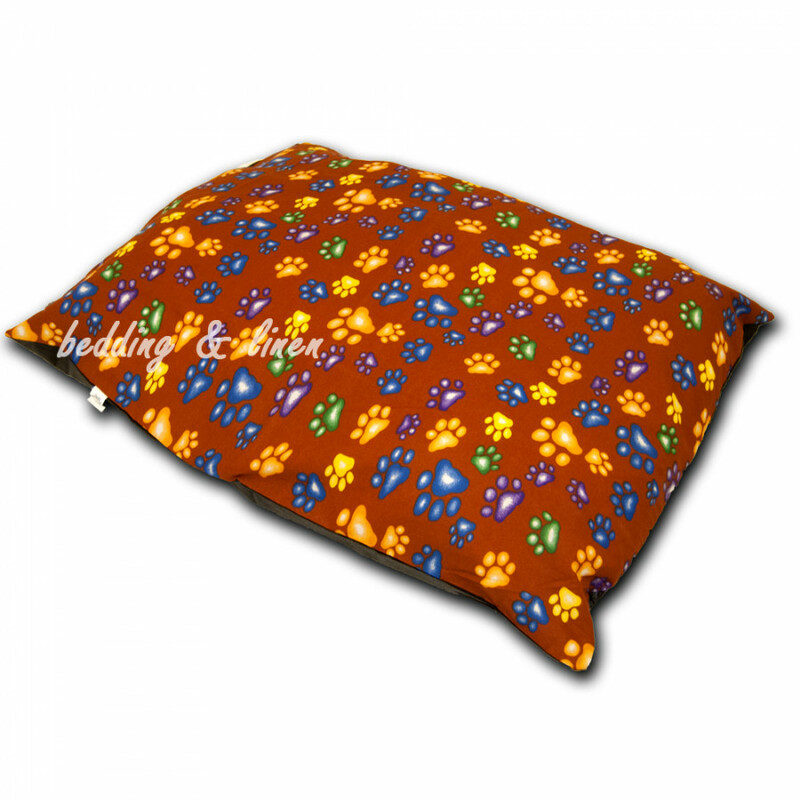 The rectangular dog pillow has a multicolour paws print on brown colour background that adds to its visual appeal. It is available in Large 26" x 38" (66cm x 96cm) size to fit with your dog’s need.